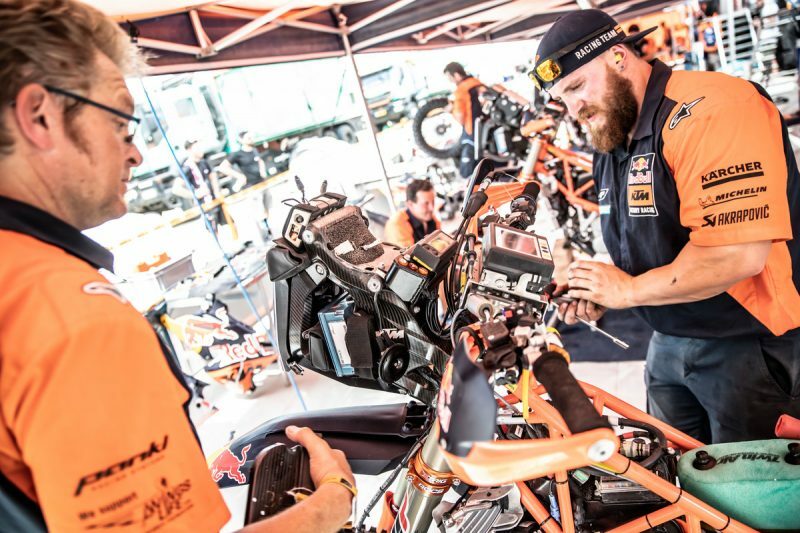 Michael’s regular job is to support the factory and customer teams with spare parts at events such as the FIM Cross-Country Rallies World Championship, and of course the Dakar Rally. The race truck build turned out to be quite the side-project. Behind the cab, the truck is split into sections, each with its own role. At the front is the workshop area where two bikes can be stored and worked upon. All the tools and machinery needed to maintain the bikes or strip down engines and suspension are stored here. The middle area is used for spare parts. In a race situation, mechanics working on the bikes request the parts they need, these are then distributed by the ‘spare parts guys’, such as Michael. 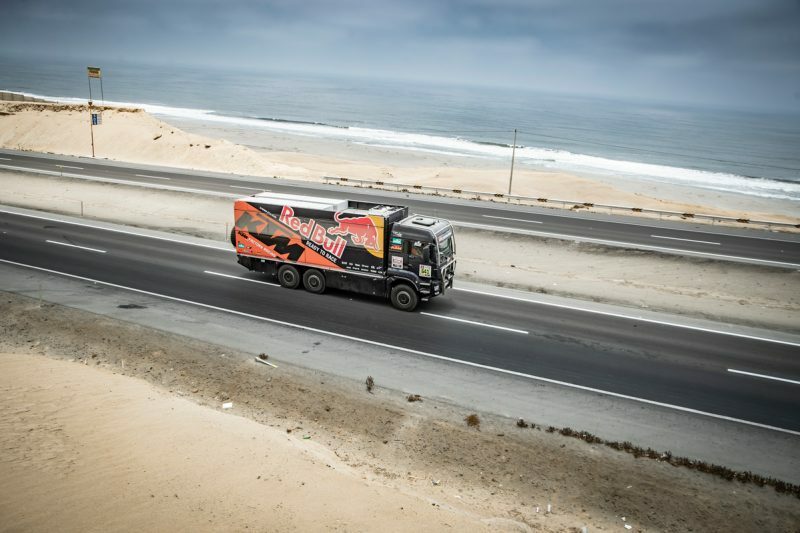 At the 2018 Dakar, customer service was huge – 75 riders, half the entry list, were looked after by the team. 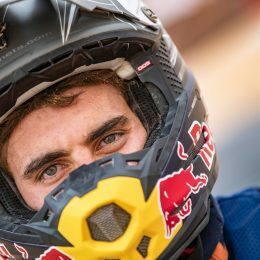 Competitors have a contract with their local dealer who then works closely with the factory to carry and supply the parts necessary for each rider. The service provided by KTM is invaluable to the customer riders. 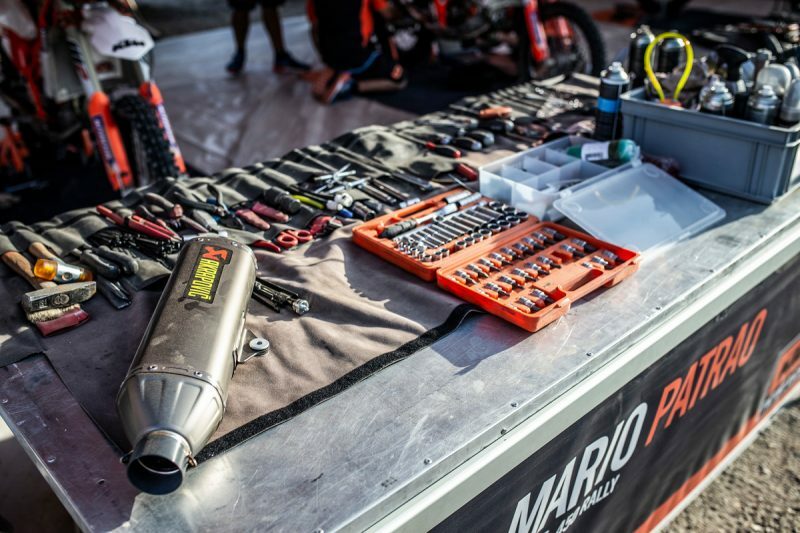 By receiving their spare parts from the team, riders simply have to turn up with their own bike and gear. A suspension tuning service is also available – the customers simply bring their forks and shock absorbers to the truck to have them serviced, every day if they wish. Even if someone suffers some sort of technical issue, the team mechanics will try to help as best they can. Towards the rear of the vehicle, there is a space for a fridge and food storage. A small shower and wash basin are located here too for the use of the mechanics. At the very back there are racks for spare wheels. 25 front and 25 rear wheels are carried, these are all fully prepared and ready to go straight onto the bikes when they are required. 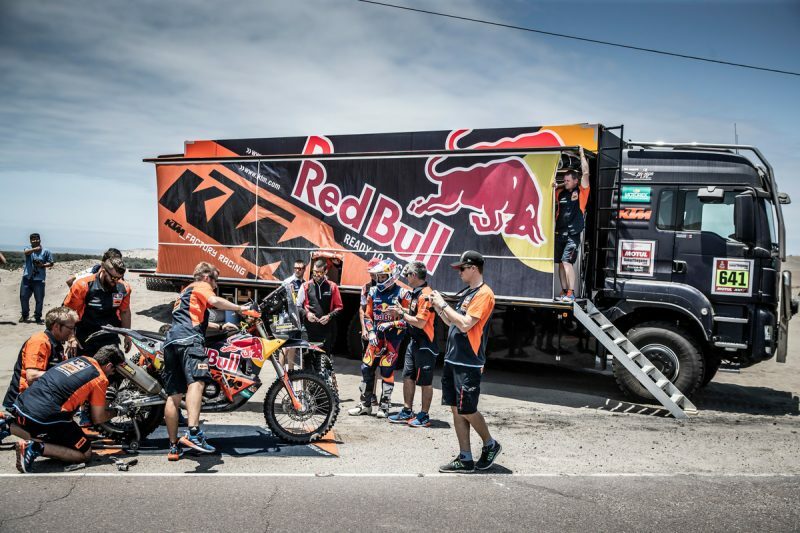 Although changes to the regulations now mean the support vehicles rarely have to follow the riders’ route offroad, the KTM race truck is still extremely capable when the going gets rough. With six-wheel drive and 500 horsepower, only the very toughest terrain can challenge the 26-ton MAN vehicle. Even in the soft sand dunes the truck can make good progress, despite its weight. 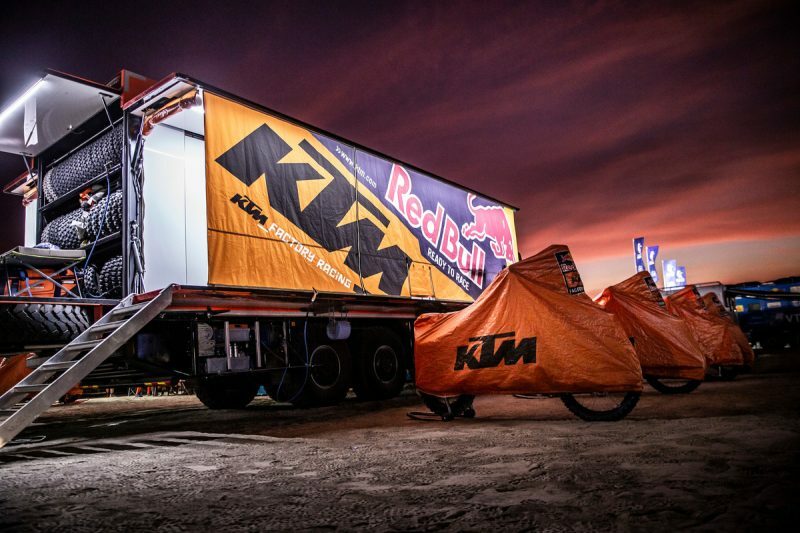 In the past, KTM has entered vehicles in the truck class of the Dakar but not any more due to the sheer work involved in taking care of them as well as the bikes. When in transit two team-members ride in the truck, there is also a third seat if needed. The one bed onboard is used by the driver who also enjoys all the comforts you would expect including air-conditioning and a good heater for those cold nights in the desert. The life of the mechanics and spare parts distributors is often less glamourous. 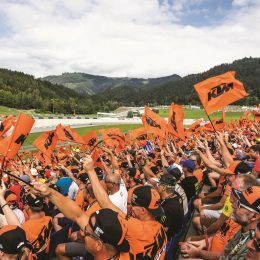 With the introduction of the latest version of the KTM 450 RALLY, the team had to increase its total number of parts held due to the all-new design of the machine used by the factory. At any rally event, shared between the factory and customer trucks, is a total of over 60,000 parts valued at around a quarter of a million euros. Just making an inventory of all the spares takes up to two weeks to complete. 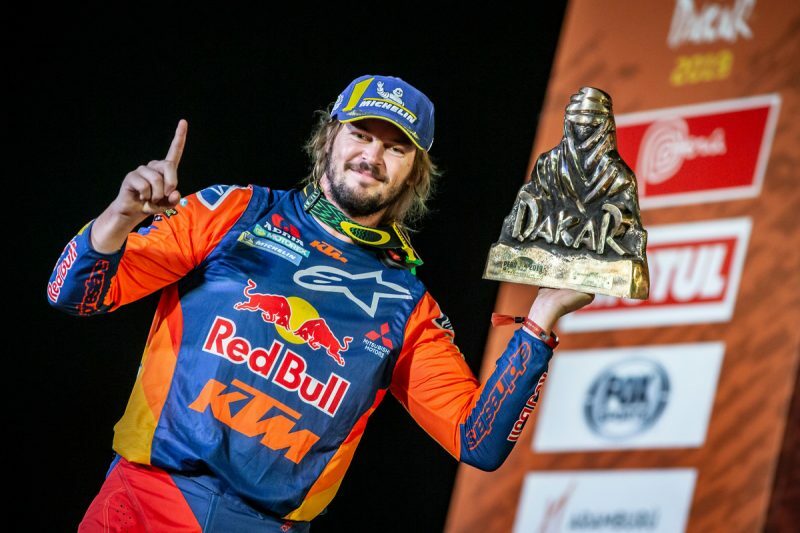 When the 2019 Dakar Rally kicked off in Peru on January 6th, focus was of course on the competitors leading the field through the 5,000km route. Without the individuals and infrastructure behind the scenes, those top riders would soon grind to a halt. 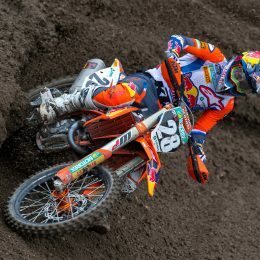 KTM and Toby Price gained the 18th consecutive victory at the event, but only a huge team effort made it happen.